This is not true. People who decide to check the facts of global warming for themselves don’t find a hoax, they find errors. For example, they might decide to search out the global temperature records, only to discover that it hasn’t been warming for the last 17 years or more. Their natural curiosity is aroused at this unexpected dichotomy between the forecasts of catastrophe and the facts. When the science contains major mistakes, it’s obviously wrong, so the dangerous anthropogenic global warming (AGW) theory dies and is no longer a target for public policy. The main reason why international conferences have failed to forge a new agreement to replace the Kyoto Protocol is there’s no need for it. So it might be interesting to discuss where it came from, but the AGW theory remains irrelevant. Joshua reckons sceptics deny any human contribution to global warming. But there’s actually no evidence either way, so we say sure, there could well be a human influence at the global level, since we see it clearly at the local and regional scale—it’s just that so far it’s been undetectable. We know our emissions have increased the level of atmospheric carbon dioxide, but how much temperature rise that has caused remains indistinct. Even the IPCC has to guess. 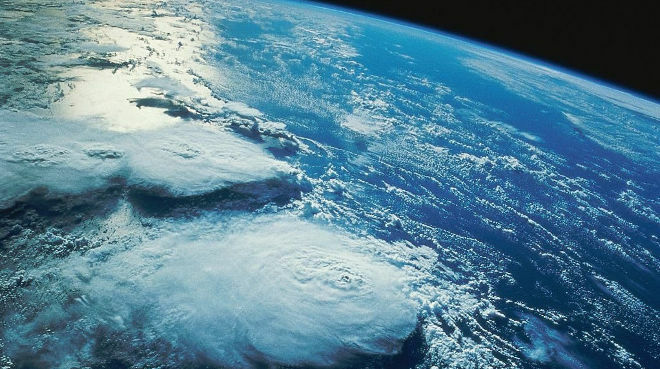 There are points that are bitterly contested, such as whether the atmosphere can warm the oceans, or heat “hide” in the ocean depths without being detected passing through the surface layers, or atmospheric water vapour provide feedback sufficient to cause dangerous warming, or whether clouds globally cause warming or cooling (yes, scientists don’t know), or whether the tiny human emissions of CO2 could cause ocean acidification (of course not), or even whether sea level rise has accelerated over the last decade or two (it hasn’t). To overreach all those uncertainties and claim boldly that the AGW theory as a whole is “settled science” is uneducated drivel. Only non-scientists could confess holding that outrageous belief. Except for Jim Hansen, but he’s a full-time fanatical crusader now and no longer qualifies as a scientist. Birth shaped by a conspiracy? 2. “Climate change” means a change of climate which is attributed directly or indirectly to human activity that alters the composition of the global atmosphere and which is in addition to natural climate variability observed over comparable time periods.– UNFCCC (pdf, 51 kB), page 7. Note that it need only be attributed to human activity—even in ignorance. Whether it’s true or not is unimportant. Now, that’s a real global conspiracy, not one of these imaginary conspiracies! That conspiracy definition has meant that for the last 26 years, when we thought the IPCC was objectively investigating the science behind global warming, it wasn’t. The IPCC didn’t need to research whether we were causing warming or how much of it might be natural. The IPCC already knew there was climate change and it had been told that we were causing it. Its only task was to say how bad it was going to get. That’s not science, it’s politics. Left-wing, control-everyone politics. Humbug. But there’s a more sophisticated set of climate “skeptics” who make arguments that, at least to the lay ear, sound like they’re grounded in scientific evidence. And because most of us lack the background to evaluate their claims, they can muddy the waters around an issue that’s been settled in the scientific community. He casually reviles sceptics with a feeble-minded generalisation and, in claiming sceptics “muddy the waters,” he blames them for his own sin. On the 97% figure, Richard Tol has a well argued piece, in The Guardian, of all places. ‘Pooling ignorance is never very productive’. Says it all about ignoramii such as Joshua. Six other counterclaims, five of doubtful relevance to proof or not of AGW. The one last straw remaining for AGW to clutch (1. CO2-forced “heat going into the ocean”) has yet to have a mechanism established and totally implausible physically. Conclusion: Joshua Holland is an idjit. “The good news is that the public may get out ahead of some of their politicians,” Obama said, suggesting that as people see the effects of weather disasters like hurricanes and droughts, they might begin to change their minds. Santer was explaining the misleading nature of the claim that because the earth hasn’t warmed as quickly as some previous projections from the Intergovernmental Panel on Climate Change (IPCC) suggested it would, the science is somehow suspect. “Lord” Monckton and other skeptics make much of the fact that the IPCC’s first model projected that the planet would warm at a rate of 3.5 degrees Celsius, when real-world readings since then have shown a warming rate of 1.4 degrees per century. According to Santer, “The inherent fallacy here is that they’re looking at very short-term changes over a decade or so and saying that if there’s some mismatch between modeled and observed changes over a short period of time, then that falsifies all climate models, and all of their projections of future climate change — but it does no such thing. On extreme weather, at the end of his presentation, Lindzen calls the science surrounding it ”one of the crazier things”. Cook et al (97%) include papers on impacts and mitigation of which there are thousands. And of which, and of necessity, there is unanimity on the consensus — duh! The geothermal heat contributed significantly to melting of the underside of the glacier, and it might be a key factor in allowing the ice sheet to slide, affecting the ice sheet’s stability and its contribution to future sea level rise. The cause of the variable distribution of heat beneath the glacier is thought to be the movement of magma and associated volcanic activity arising from the rifting of the Earth’s crust beneath the West Antarctic Ice Sheet. Volcanic eruptions occur only in certain places and do not occur randomly. This is because the Earth’s crust is broken into a series of slabs known as tectonic plates. These plates are rigid, but they “float” on a hotter, softer layer in the Earth’s interior. As the plates move, they spread apart, collide, or slide past each other. Although most of the active volcanoes we see on land occur where plates collide, the greatest number of the Earth’s volcanoes are hidden from view, occurring on the ocean floor along spreading ridges. But apart from the newly discovered geothermal heat under Thwaites Glacier on land, oceanic geothermal heating, either magma proximity or hydroventing, only occurs at 0.087 W.m2 in Warmer World. Ah yes, the El Niño get-out-of-jail card. Much anticipated by all warmists, whether “real scientists” or not. Actually they’ve flatlined from 2000 to the present when anthro emissions were higher than at any other time in industrial history including 1990 to 2000. Begs the question doesn’t it? Each day I read new pieces in the mainstream media on climate change, and I continue to be amazed by the poor quality of science journalism and how this is misleading the public on critical policy issues. Seth Borenstein of the the Associated Press has published a truly staggering piece on temperature trends across the United States over the past three decades that is getting picked up by various media outlets around the world. I simply cannot believe that the scientific community is allowing this article to stand without major correction or a full retraction. The end days for science are upon us. Here is what happened. The AP used “the least squares regression method” to calculate the annual temperature trend for all these regions, but then proceeded to ignore entirely whether the regression method indicated if the trend was statistically significant (the typical criteria would be a p-value<0.05). This is first-year statistics level stuff. Quite simply, if your statistical test ("least squares regression method") tells you the trend isn't significant, you cannot claim there is a trend, since the null hypothesis (i.e., no trend) cannot be rejected with any reasonable degree of confidence. This isn't the first time I've seen statistical troubles from this journalism source. In August 2012, Borenstein attempted to analogize the odds of consecutive warm months to coin-flipping statistics, which – as I noted – was not a valid analogy, as it violated the requirement of independent events. To correct Borenstein's reporting on this latest topic, I analyzed the 1984-2013 period of annual temperatures for "the lower 48 states" using "the least squares regression method," as the AP did. Here is what I found. Borenstein claims that "all but one of the lower 48 states have warmed since 1984." Wrong. Only the following 18 states (i.e., 37 percent of the lower 48 states, not 98 percent of them, as the AP claims) exhibit statistically significant positive trends in annual temperature since 1984: Arizona, Colorado, Connecticut, Delaware, Louisiana, Maine, Maryland, Massachusetts, New Hampshire, New Jersey, New Mexico, New York, Oklahoma, Pennsylvania, Rhode Island, Texas, Vermont, and Virginia. To illustrate how scientifically ridiculous the AP's claims are, the AP article claims there is a cooling trend since 1984 in North Dakota and a warming trend in Washington over this same timeframe. Here is a plot of annual temperatures in these two states over the past 30 years. You're kidding me. Claims that Washington is warming and North Dakota is cooling? The linear regression p-value is 0.94 for North Dakota and 0.66 for Washington. Keep in mind for statistical significance the p-values must be below 0.05 (or even 0.01 if you wish to be truly rigorous). Both these states show almost perfect non-correlations. In other words, there is no hope of a temperature trend (towards either warming or cooling) in either state, contrary to what the AP is claiming. ‘What do you say to a kid?’: the writer’s daughter was in tears after watching part of a new (sic) broadcast about climate change. Bear in mind what prompted this exchange was my daughter catching the end of a 6pm commerical news broadcast. I didn’t stoke her with horror stories. It was the first time we’d ever discussed global warming. She simply intuited danger from the voice of a TV reporter. When I picked up my daughter from her mum’s house later in the week, my ex told me Noush had been crying, saying the world was going to get too hot and we’d all die. We both went to work on her, explaining it wasn’t a certainty this would happen, and that we all had to do our part to help the planet. Every minute of the day we defer to greater minds than ours, when we flick a light switch, sip tap water or eat from a can – we accept the science behind these things because they are beyond argument.The scientific community has reached such vast and enduring consensus on subjects like germ theory, Newtowian psychics, evolution and antibiotics, we accept them as fact. No one, save fringe lunatics would dare to question their veracity, yet people on the street (or Twitter), not to mention politicians with absolutely no scientific training, like our PM [Abbott], are prepared to speak with certainty about issues like climate change. As Obama told The New York Times recently, “Science is science .. We can argue about how. But let’s not argue about what’s going on. The science is compelling. Dad “zoned out”, four-year-old daughter (the remaining audience) scared to tears. Dad doesn’t understand the science but explains the (un)certainty anyway with certainty. Dad doesn’t like Abbott speaking “with certainty” because “absolutely no scientific training”. Dad defers to the authority of Obama that we “defer to greater minds than ours” on climate change. Dad sees climate change in same light as germ theory, Newtowian psychics, evolution and antibiotics. It’s not the four year old’s mind I fear for. Nice. Spelling mistakes can provide such rapid digressions. Gotta love ’em. Nice analysis RC. I particularly like the contradiction of decrying Abbott’s lack of training against the lauding of the untrained science-is-science guy. Amazing that people even think this. If the world got 4 degrees warmer, Christchurch would resemble Auckland. The warmists are hanging their hat on the speculated El Nino. I’m not going to dig into all I’ve read on this subject but I project they are going to be sadly disappointed.